Do you know the secret to blogging success? Top bloggers didn’t achieve their success by accident. They had a plan and they worked daily to achieve their goals. For many it was a short list of simple objectives. For others it was a complex strategy perfectly executed. What about you? What’s your plan? I’ll be straight with you; most people aren’t master strategists. It takes a while to learn how to plan and execute a success effectively. So, I’m going to give you the shortcut no one talks about, setting powerful Habits. As a parent, I’m constantly guarding my children from bad choices that lead to bad habits. Why? Well, habits are incredibly hard to break. A child that uses whining to get their way turns into a whining and complaining teenager. The reverse is also true. Good habits are incredibly hard to break too. Our minds are wired to maintain the status-quo. Once a habit has taken hold, your own body will conspire to turn your habit into a lifestyle. Why not use this to your advantage? Your shortcut to success is to use your habits as tools to propel you toward your goals. This notion isn’t theoretical. In fact, close study of popular A-List bloggers show that they rely on 7 habits that they use as tools everyday. Interesting, compelling, and entertaining writing is the secret to growing a blog fast. The only way to get good at writing is to write constantly. Setting aside time daily to write will immediately improve your style and voice. How much you write is up to you but for most the minimum is 1 page or 30 minutes. The best way to start is to make it a priority to write your page before you go to sleep or immediately after you wake in the morning. Superstar bloggers are fearless. They write provocative posts. They take on controversial topics. They guest post with abandon. Even though they seem confident almost all of them will admit to wrestling with their own self-doubts. The difference is that they learned how to harness their self-doubt to push them forward. They wrestle self-doubt to the ground and challenge it at every turn. They don’t let a negative idea find a place to nest in their mind. How can I continue moving forward in spite of my doubts? Is this problem/doubt really a showstopper or can I deal with it later? Remember, your inner-critic wants you to stop. The best way to beat it is to form the habit of always pushing forward. Blogging isn’t meant to be a lone-ranger activity. Your content gets stronger when you connect with your reader’s experiences and aspirations. Top Bloggers make it a habit to set-up easy ways to get one-to-one contact with their readers. For them Twitter, Facebook or LinkedIn is not an option. This is where they find inspiration for their posts and recharge their batteries. But be careful, Twitter and Facebook can be a time-waster if not used properly. I recommend you start with a goal that focuses you on achieving a result for your reader. Leo Babauta recommends you spend 80% of your time promoting others, 10% promoting your blog, and 10% on personal tweets. I agree. Set aside time 3x a week to connect with your readers and make it a priority. Steven Covey encouraged peak achievers to seek Win/Win solutions where both parties walk away feeling great about what they achieved. The same goes for blogging. Every post you write should satisfy a core desire for you and deliver a real benefit for your reader. If you are simply writing to satisfy yourself then purchase a moleskin notebook and write away. But if you want to blog publicly then you owe it to readers to deliver real value. 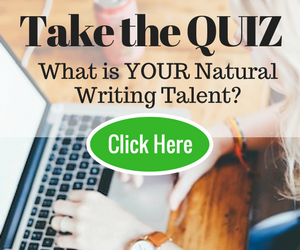 You can form a Win/Win habit by asking yourself this question before you start writing: “How will my reader benefit from reading this post and how will I grow from writing it? Optimism is powerful and attractive. The power to put a smile on your reader’s face is magical. You should strive to add a little light to your readers lives everyday. On the other hand, “rants” are a zero-sum game that pushes your good readers away and attracts the wrong crowd. The best bloggers avoid rants and focus on helpful and upbeat posts. A great way to this is to consistently write upbeat headlines for your posts. Start with the right attitude and your optimism will radiate from your post. The words “Let Me Tell You a Story” never fails to get someone’s attention. We are wired to listen to stories and we love to tell them. Spectacular bloggers understand this and actively work on their storytelling ability. The best way to develop your storywriting ability is to read great books. Work to set a habit of reading at least one fictional book a month. Start with the New York Times Bestseller list and go from there. Pay special attention to how authors begin their stories and develop their characters. This is pure gold. Your writing voice is your #1 asset. Your voice is what the reader has in their head when they read your post. It builds rapport and encourages your reader to engage with your content. What A-List Habits Will You Work On? Which habit do you need to establish to take your blog to the next level? How have you caged your inner critic? Talk to me in the comments below. Thank you for helping us to gain insight into the blogging world of which I’m very new and I’ve certainly taken note of these 7 habits. To be able to accomplish them is my next challenge. But I do very much appreciate the chance to know where to start so thank you. Hi, I write fictional novels and I must say I that I think some of the tips are very helpful. Nice that Lori started her comment above with number six: storytelling. Was doing great until the no rants part, damn. I try, I really do, I’m just not sure I succeed all the time. Guess I’ll just keep plugging away. Life 101 http://dorahighschoolalumni.blogspot.com/ in December of 2005 and I’ve written daily (missed two days because power was off here in the country). I always try to be upbeat. I recently read a old book called Stein on Writing that gave remarkable tips on writing both fiction and non fiction. One of the great tips I took away was when you write, it’s best to show and not tell. Thanks so much for these helpful writing tips. You do good work. I think that writing on a daily basis is a challenge for many of us who are afflicted with the infamous ‘writer’s block’ – just how to do so when you can’t find that inspiration to ignite a creative spark? I guess, if you’re truly passionate about writing, it comes naturally to you like the air you breathe. So, for now, I have to get me an extra pair of eyes and hands to help me spill my beans out there on the World Wide Web. I have fallen out of the habit of writing daily…….. Thanks for all that, Stanford. For me, finding my ‘own voice’ has been the hardest part but I believe I’m getting there. When I read the ‘Spectacular Bloggers’ I have to remind myself that they took time to get there also. I just joined the ‘A’ List Bloggers Club and can really recommend it for newish bloggers. So much good tuition on there. Thanks Linda. I agree that finding your voice is challenge for alot of bloggers. Even the pros find it hard to keep their voice fresh and interesting. I think it is a win to recognize that your voice is important and work to cultivate it. 2. I’ve always been a rather positive person, so I rarely ever self-doubt. Sometimes I even find myself trying to overachieve if I’m in the right mood. However, that mood can come and go at odd times. 3. I’ve been mainly trying to connect with my readers through comment replies or emails. I haven’t yet played around much with the social networks though. While I have been a Twitter member for several years now, I hardly use it. I’m going to try to start using it more often. The other networks I was thinking about becoming an active contributor on are Facebook and StumbleUpon. We’ll see how things go. 5. This might be something I need to work on. As I mentioned earlier, I’m pretty optimistic, but I don’t think I really put that optimism in my posts as much as I should. 7. Finding my voice has been a MAJOR struggle for me. I’ll try the suggestion and record myself answering a question for someone else. I was even thinking about starting my own podcast or maybe starting to make video posts for my blog. This should help with finding my voice, though it does make me nervous! For now, I’ll just record myself speak. Great suggestions! I am just starting to feel more comfortable in the role of storyteller and can tell already it will have a huge impact on what and how I share. I loved your point on optimism too. Who wants to visit a blog that is always on the down side? Optimism is infectious. “Rants” push readers away. But hey, there’s a lot of ways to skin a cat. I’ve been hesitant to use twitter but too many people have told me it’s a must…I shall look into it..
And I love Lori’s comment..
Wow, there’s so much in this post to chew on. Developing these habits and turning them into a lifestyle is such a powerful concept. I could work on just about all of them, and I’m sure that I will always be striving to better my writing, learn from others, combat self-doubt, and help my readers – these are goals that will not necessarily be “met” and moved on from, but will guide my work, always. Fabulous post and advice. This blogging world is tough to navigate. Your advice is practical and meaningful- you definitely followed your own advice while writing. 🙂 Thanks! I love the idea that good habits are hard to break, too–a positive spin on the common observation that bad habits are hard to break. It’s an excellent reminder for maintaining productive and positive practices! Happy to see an example of #5 (Be Consistently Upbeat) embedded within this post. 🙂 Thanks, Stanford! @Srinivas I think your comment is better than the post! Thanks for taking the time to wade right in. Thank you for this post! It’s so encouraging. Sometimes, as long as I read more news, blogs, books… instead of feeling more comfortable with language I don’t feel confident about what I’m writing and I spend a lot of time thinking to much. Most of the times for the last years I’ve just been leaving texts before finishing them. I’m trying to be constant again with my blog, to practice everyday and to keep reading. Your recommendations are useful, and even if some can seem so logical, it’s not always easy to be selfconscious about them! @JB – Writing daily gets easier if you find your own rhythm. I started with just writing 100 words a day. Over time, I increased it. Another great post. I need to add writing daily to my routine. I especially like number 1. Write daily which I really have a challenging time doing on a regular and number 6. Master the art of story telling. I am not a big fan of fiction so I read books that are more reality than fantasy. I am also still trying to find my voice a la secret number 7. I have been following your stuff every since I found you on social customer blog a month or so ago. To answer your question, I have started seeing my inner-critic as an energy that wants to protect me. I (when I’m on-point) thank it and say, “It is safe now, you don’t have to protect me.” I know that voice is the past trying to fix experiences it didn’t want to happen. Brilliant post. Very inspiring. Thank you. 1) Writing Daily: This is one of the best habits you can form as a blogger. Just because you write daily it doesn’t mean you have to publish daily. But if you start writing everyday you will improve your writing skills dramatically. I get up in the morning and unless Godaddy has decided to be pain, I open my macjournal software and i just write for 30 mins. Distraction free writing tools are really useful for this. Just put fingers to keyoboard and jam. Some of my best posts have been completely unplanned. 2) The Inner Critic: There are things I have put out on my blog that usually result in phone call from my mom and I’m 32 :). She once said “do you really need to let the world know that you had bad grades in college.” We all have our demons that we battle, but when we are willing to share them with people it makes us more real. Perfect example, is your kids mohawks. It still makes me laugh when I think about that, but that was the post that got me and now I read your blog everyday. 3) Connecting with Readers: I connect with readers through twitter quite a bit and I even use twitter to create content. Usually I’ll ask a question for a blog post I’m creating and use people’s answers in the post. 4) Win/Win: This can be tough at first when you don’t really understand your audience or you are writing into a vacuum. However once you figure it out, then you can really start to hone in on what your audience wants. I realized the stuff I write on productivity is apparently my most popular stuff. Funny, considering I have ADHD. 5) BE Consistently Upbeat: Fantastic advice. We read blogs to be inspired not to be demoralized. One of the things I try to do when I show any achievement I’ve had with my blog is to show the path to getting there so people can see what’s possible for them. In fact I was just looking back in November of last year and I only had 166 readers. 8 months later i’m at about 1100. If people can see that sticking it out is key then they’ll be motivated to keep going. 6) Storytelling and a Voice: These two kind of go together. On the voice, you pretty much nailed it. I write the way I speak. That beauty of blogging as a medium is that there are no rules. I knew a blogger who didn’t stick around for too long but his writing was so out there, but people loved him. He was like the James Joyce of blogging. (if he’s reading this hopefully he’ll start writing again). Thanks for this post. I’m just figuring out the whole “blog world”, for sure Self Doubt has held me back. I appreciate your questions, “What actions will I take now” is a great question, sometimes just taking action is exactly what I need.